John F. Kennedy had one of the sweetest swings in presidential history. One of the old clubs he used will be up for auction soon. Seinfeld meets real life. Sort of. 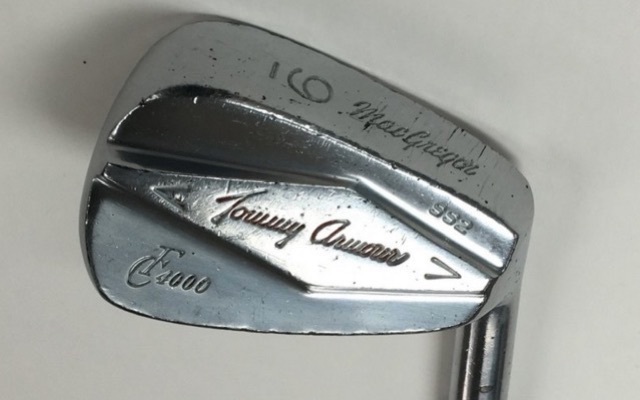 John O'Hurley (who played J. Peterman on Seinfeld) will be auctioning off a John F. Kennedy 9-iron as the host of the upcoming American Cancer Society's 19th Hole Club (its 48th such event). So what is the connection to Seinfeld here? KramersApartment.com has the answer. It recounts a Seinfeld episode entitled the Bottle Deposit. Peterman is going out of town and asks Elaine to bid on a set of golf clubs owned by John F. Kennedy. He authorizes Elaine to spend up to $10,000 on the clubs. Elaine ends up spending $20,000 on the clubs when she gets in a bidding war with Sue Ellen Mischke. The club isn't O'Hurley's but rather belongs to the American Cancer Society itself. 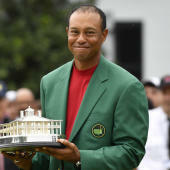 "We were holding off for the 50th anniversary [of the 19th Hole Club] when we found it, but with John O’Hurley hosting we thought this would a perfect tie-in," development manager Candi Spitz told Golf Digest. And why wouldn't you want the club that was used for this sweet swing?